This extension really opened up the home, transforming its closed layout (consisting of three individual rooms), into a lovely open plan design, with a natural flow from the kitchen, to the dining room, to the living room. A great space for entertaining friends, or simply relaxing on a Sunday evening. 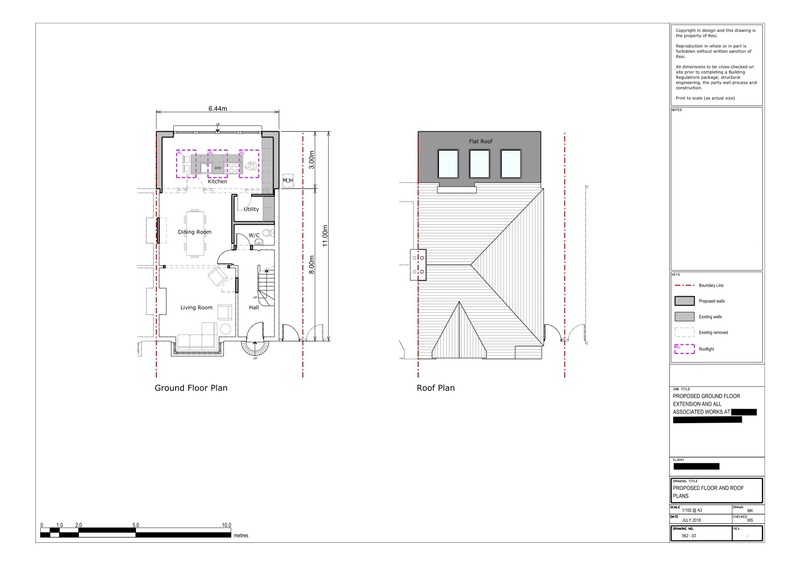 Our client wanted to extend their property by at least 3 metres at the rear, and the whole width of the house, in order to create an open plan kitchen, dining room, and living area. They wanted to carry this out in accordance with a modern style, while complimenting the existing features of the home. 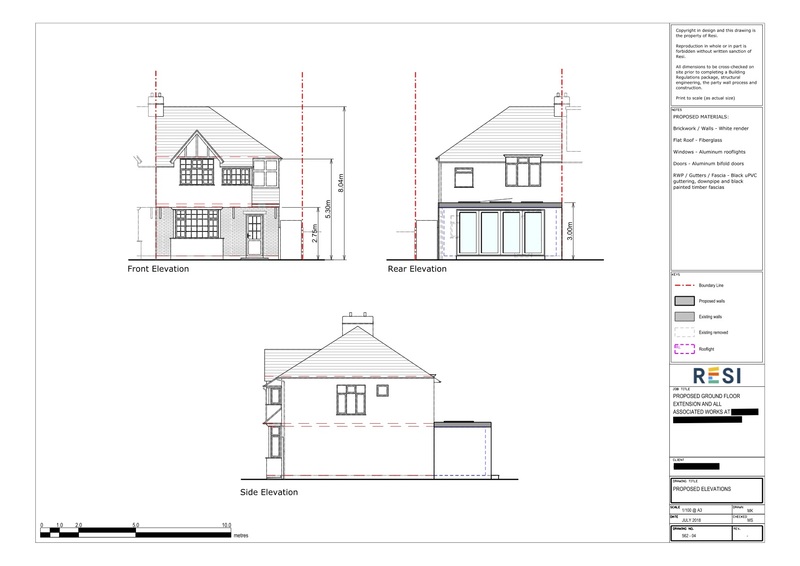 I decided to remove the walls separating the existing living room and dining room, which would create a large open plan space when combined with the new extension. The kitchen was then pushed back in order to make space for a utility room (accessible from the kitchen), and a WC (accessible from the hallway). A large kitchen island was installed that expanded from nearly one end of the room to the other, and three skylights were placed above this to ensure this new space was complete with natural light.